A representation of Japanese folk dance, the people of the village dance in a circle in a festival of prayer. At the Kutanihachiman shrine, after praying for the safety of the town, the people break into two groups and dance in celebration of the diety. At noon, the village performs a series of traditional performing arts, leading up to the Saemon dance. It is said to be a demon dance, with four people carrying a large shide, dancers with waist drums, and lots of shouting. This dance is considered a cultural asset. Because Tajima cattle have been bred so carefully, even local people haven't had an opportunity to see them. In response to many people saying "Even if you go to Tajima, you can't see Tajima cattle", there is now a place where you can see the cattle grazing on a Tajima cattle farm. There are many great spots to view cherry blossoms in Shin-onsen. At night, the Shofuku-ji temple's cherry blossom tree is lit up, creating a particularly beautiful scene. The Taiun-ji temple cherry blossom tree is said to be originally from the Tenryu-ji temple in Kyoto. The tree is about 250 years old and the local people protect it dearly. Every year, around mid or late April, the tree blooms. This Kirinjishi dance is the heart of our ancestors passed down generation to generation and it is now performed in the Hachi area of Hamasaka. The beautiful "Lantern Picture Scroll" is the scenery of Yumura Onsen town lined along the river and wrapped in fantasy when lit up at night. The San'in Kaigan Gorpark is a massive park that stretches over 100km east-west and 30km north-south and is a park based on the idea of "various geological/geogrpahical features living in harmony alongside the Sea of Japan."  Shin-onsen is a town in the northern area of Hyogo Prefecture that lies adjacent to Tottori Prefecture and is surrounded by mountains, hot springs, and the ocean. About 46.3% of Shin-onsen is designated as a nature park, which includes a 1000meter tall mountain made up of the San'in Kaigan Geopark, Hy?nosen-Ushiroyama-Nagisan Quasi-National Park, and the Tajima Sangaku Prefectural Park. 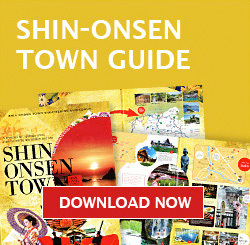 Enjoy a truly Japanese scenery on the local line to Shin-onsen town! Where people have grown up with the onsen. Enjoy the rich bounties of nature, the delicious local food.